UX design is a creative and ever-changing field that welcomes fresh ideas from new practitioners, but there are some foundational UX design principles that every new designer should understand. The Interaction Design Foundation defines UX principles as “fundamental points of advice for making easy-to-use, pleasurable designs as we select, create and organize elements and features in our work.” Design principles, therefore, form the heart and soul of UX design. Consequently, as new designers, it is essential that you learn these guidelines and consider aligning your design practice with them. 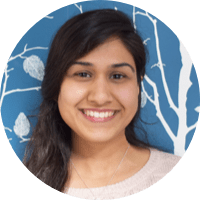 Let’s walk through these user experience design principles so that you’re prepared to launch a fulfilling career. The foremost of all UX design principles is to focus on users throughout the design process. The term user experience itself makes it clear that your work needs to center on improving your users’ experience with your product or service. Thus, you need to learn what users are looking for in a design (through user testing and other methods). It is possible that a design may seem brilliant to you, but remember that you are not the user. For new UX designers who are only just testing the internship waters or are in junior positions, the design process can be overwhelming. A lot of work goes into designing, so knowing your place in the process is significant in several ways. Firstly, you’ll need to use different tools for each phase, as demonstrated in the graph below. 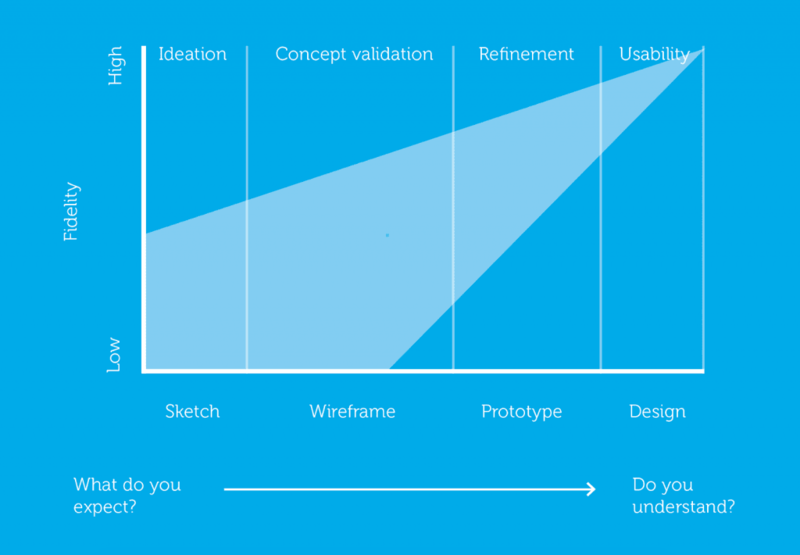 Secondly, knowing your design phase also helps you ask the right questions for user research. For instance, there’s is no point testing the color of a button if you are still figuring out where it should be placed in the design. 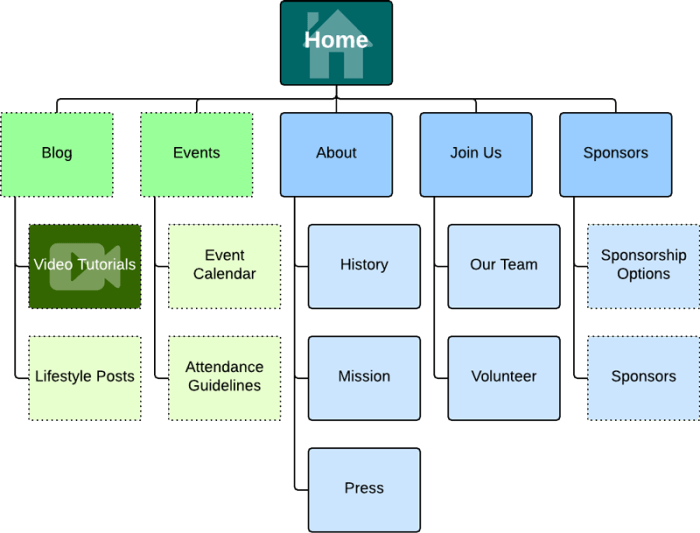 It is easy to take hierarchy for granted, but it is a UX principle that ensures smooth navigation throughout a design. There are two chief hierarchies that you need to note. First comes the hierarchy that is associated with how content or information is organized throughout the design. For example, when you open a website or app, you will note the navigation bar that includes the main sections. This is the primary hierarchy. 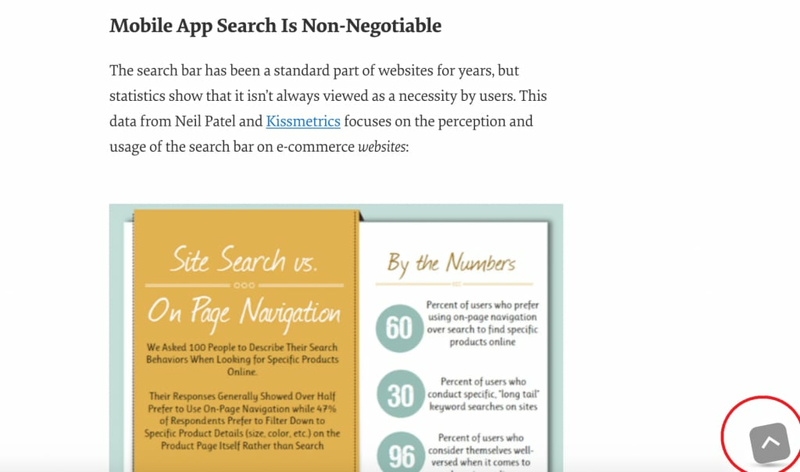 When you click or hover over this bar, you will note further sub-categories of content open up, taking you deeper into the app or site. These are the secondary menus. There also is a visual hierarchy, which allows users to navigate easily within a page or section. Therefore, to create an easy flowing design for users, you need to place the important content prominently. The WooCommerce site uses a large font and weight for the main message so that it stands out. The design also uses a different colored button to put emphasis on “Get Started” and encourage action. Users expect products to share some similarities with other products they regularly use. This makes it easy for them to become familiar with the new product without any additional learning costs. It may sound a little counterintuitive, but the more familiar your design is to others, the faster users can learn to use it, which enhances their experience. An increasingly important rule from among the UX design basics is designing with accessibility in mind. In simple words, a designer’s responsibility is to make sure that his design is usable for as many people as possible. This means that your design needs to be accessible to people with disabilities too. When designing, you need to take into account the user’s context. Location is a commonly understood contextual factor—are you designing for someone on the go or for someone sitting at a desk? But there are other things to consider, including the time available with the user, her emotional state, the device she is using, the people who influence her, and more. All these factors help you understand the user’s behavior. Once you have insight into that, you can prepare a design that maximizes user experience. 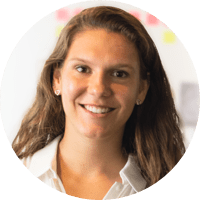 For example, the emotional state of a user would impact how patient or impatient she might be when interacting with the user interface of your product or service, so you’d want to design with that in mind. UX design is entirely focused on solving the users’ problems, which makes usability of the design one of the most crucial user experience design principles. No matter how aesthetically pleasing your work may be, it won’t strike a chord with the user unless it is safe and easy to use. A case in point here is website design. Any site that is cluttered is bound to lose visitors. As a designer, your job is to make sure that each icon, button, and snippet of information that is present within the design has a purpose. Concentrate on clarity by bringing only useful features to the user’s attention. Usability is the reason why prominent buttons and a minimalist design with few elements increase the click-through rate (CTR). Precision Marketing Group doubled the CTR on their call-to-action button by changing the shape and size of the button. Usability testing asks users to interact with the design. Meanwhile, you take notes to see whether they encounter any problems. If many people experience similar problems, you will have to make changes to the design to sort out the usability issue. Keep in mind that design is an iterative process and it demands improvements in all stages. 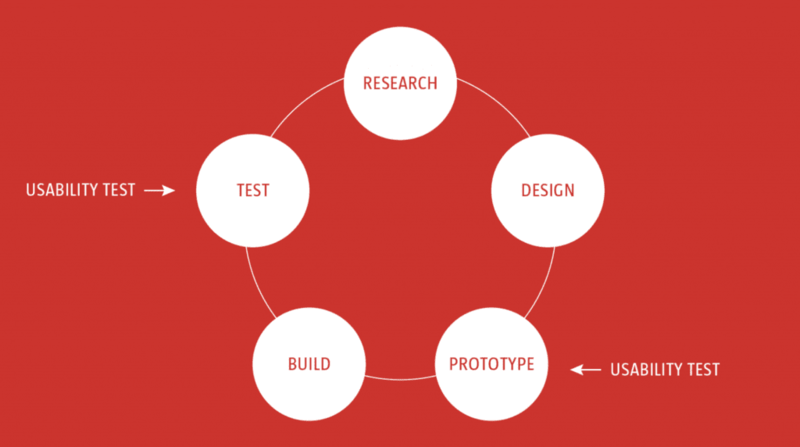 Hence, you should conduct usability tests throughout the UX design process, including before you start your initial design, during the prototyping phases, and at the end of the process. The less-is-more design principle was originally proposed by the architect Ludwig Mies van der Rohe. For UX, the underlying aim of this is simple: reducing the operational and cognitive costs of the users. In placing value on this, the design’s usability and consistency improve. The less-is-more approach emphasizes simplicity as opposed to clutter or over-decoration in design. Several celebrated designs have surfaced as a result of this UX design principle, including the iPhone and iPod. In 2007, Apple streamlined the phone’s keyboard in pursuit of the less-is-more philosophy and the iPhone was birthed. 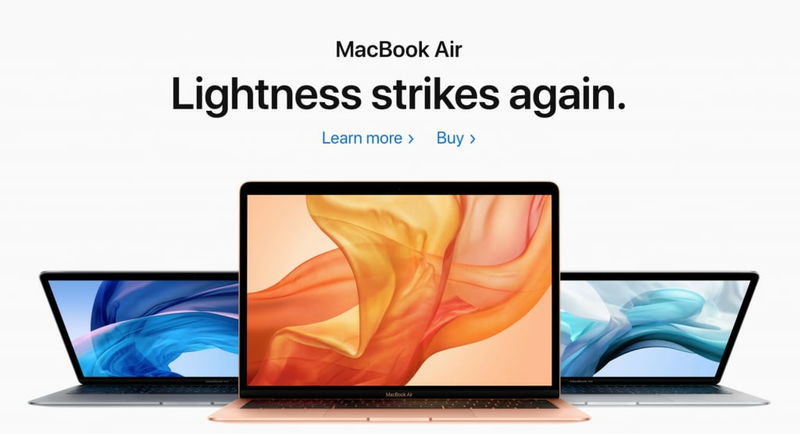 Apple’s website also follows the same design principle. Just as simplicity has become a best practice in visual design, UX-focused copywriting should avoid technical terms and opt for simple language. Users are busy, they’re on the go, they’re multi-tasking, so use words in your design that are closest to the user’s thoughts. 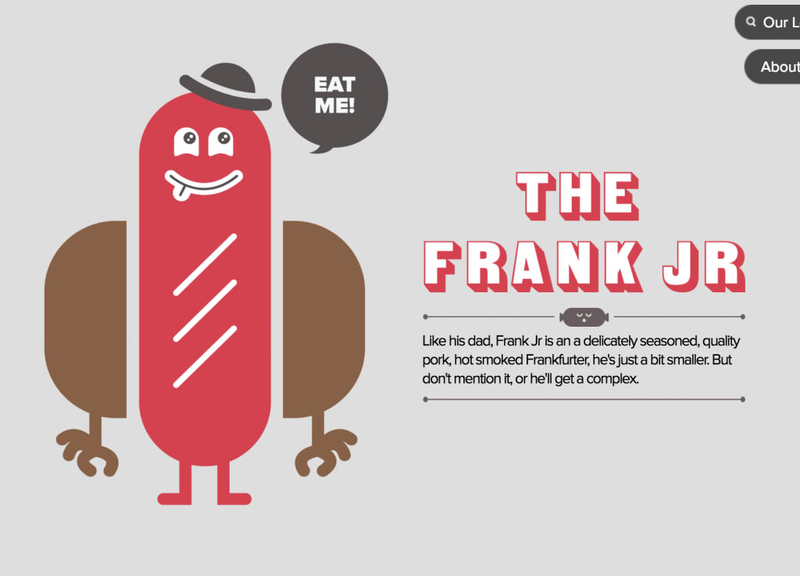 Simple language is easy to understand, which enhances your design’s user-friendliness. Typographic choices can significantly impact the way users interpret the language you use, helping enhance or suppress the message. Moreover, typography can improve UX in multiple ways. For instance, it can improve accessibility and make the design more user-friendly as you consider a typographic hierarchy. You can take a page from the online publishing platform Medium’s design. 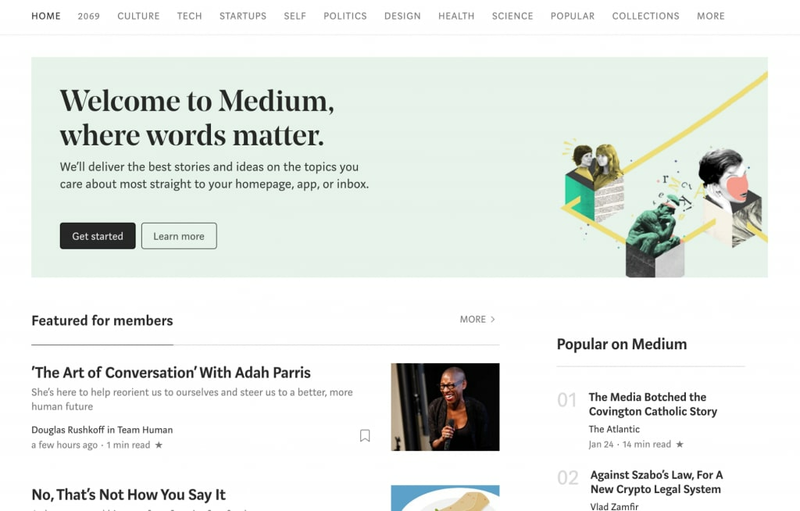 Medium uses specific typography to make its content more readable. Design should be interactive by nature. So, when a user clicks on something, he’ll need a response from the product to understand that his command has been received. Feedback is a crucial way to encourage communication between humans and machines. Accidents happen all the time. One common digital example: a person may unintentionally place an order. (How many parents have had to ask for refunds after their young kids accidentally made a purchase on Amazon or iTunes?) Your design should help correct this, though, because you don’t want to give the user a poor experience. This makes confirmation another one of the essential UX design principles. Apple asking for confirmation when you empty the trash is one important way this principle is put into use. User control focuses on greater flexibility of use and better control of where a user is within a design or product, enhancing user experience. Furthermore, it allows users to backpedal and recover from errors. The “upward” icon on a webpage, which allows you to get to the top of the page, is a good example (see below). 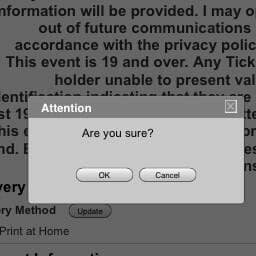 Similarly, the “cancel” button that allows users to abandon the task they were doing also empowers them. As does the “undo” button, which saves a user from making an unintended action. Your design can attract more users if it showcases a character that interests the user persona you are designing for. 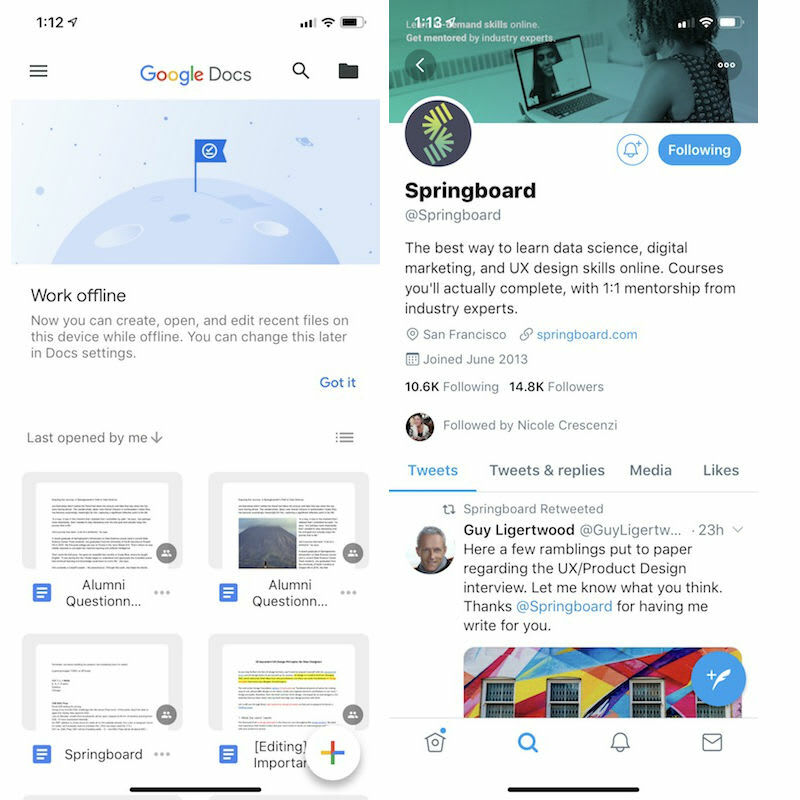 Users find it hard to connect with a lifeless design, device, or code. 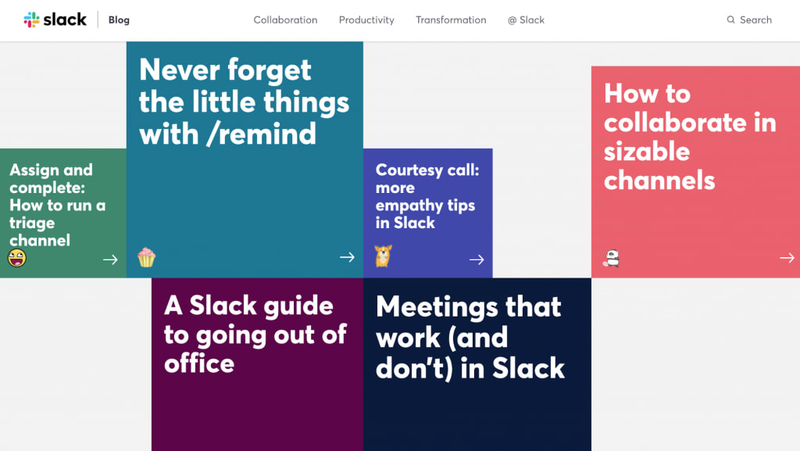 Adding personality to your design gives it the human touch that makes it more attractive and usable (like the Trello blog). Visual grammar has its roots in graphic design, but it sits at the helm of all visual communication, which plays a significant role in user experience. Visual grammar consists of everything that makes up the visual elements of a design: icons, illustrations, patterns, and more. Break these down and you will get the core elements of planes, points, and lines, as shown below. Your job as a new designer is to ensure that you understand these elements better for improved visual grammar. Focus on one point at a time, starting from points, then lines, and finally planes. 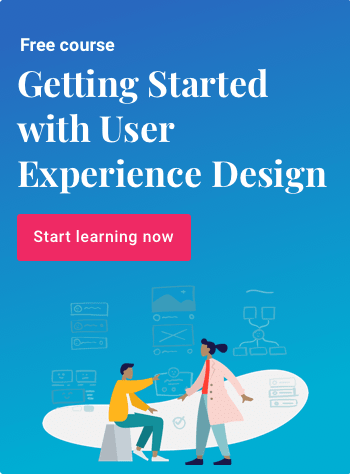 As you improve on this user experience design principle, you will be able to improve your overall UX design skill set. Another one of the most important user experience design principles is narrative design, or telling a story with your design. Two critical storytelling elements are time and rhythm. Time is the pacing your design adopts—for example, how slowly or quickly your narrative is unveiled. 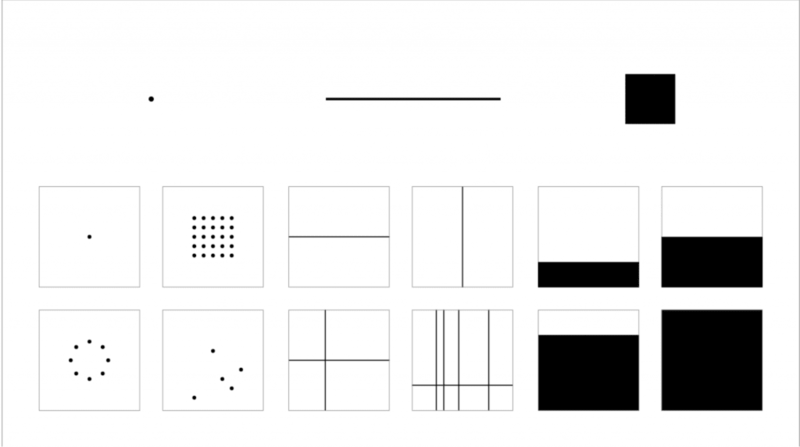 Similarly, rhythm is the pattern of unfolding that your narrative adopts—for instance, the pattern of the series of screens through which the entire design opens up. Too slow a pace can bore your user, not giving her adequate information to hold her interest. As you step further along the path to a career in UX design, you’ll want to acquaint yourself with the common UX terms and UX design basics. Aligning your work with these UX design principles will improve your output and set you up for success as a UX designer. 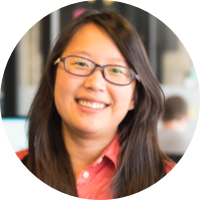 If you are looking to master more UX fundamentals, check out Springboard’s UX Design Course. It’s a self-paced, mentor-led bootcamp that will take you from beginner to building your first UX portfolio.